These introductory courses run in 4 week blocks on Wednesday evenings for 2.5 hours. 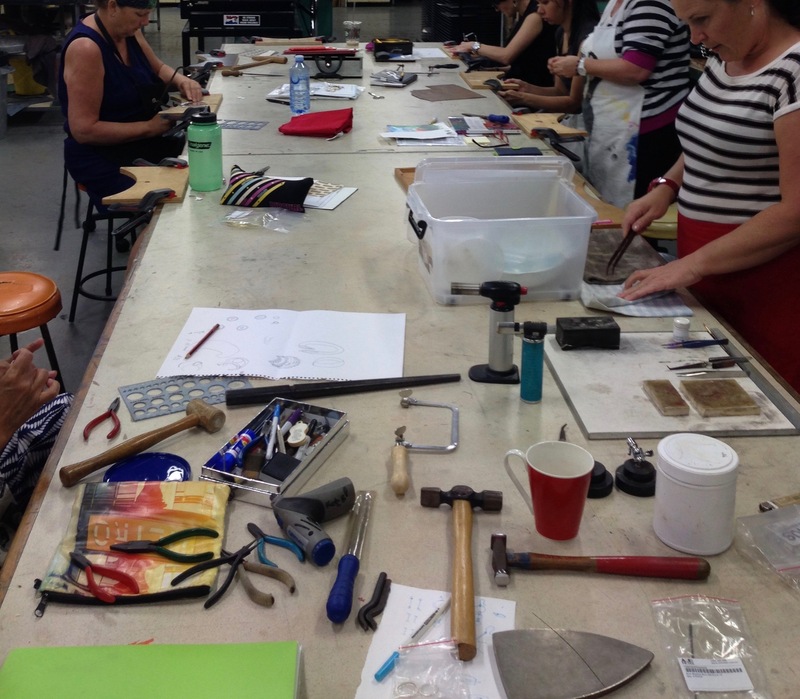 Over the four weeks you will learn fundamental jewellery making techniques, how to use jewellery making tools, the art of heat control and soldering, how to make jewellery components like chain, rings, bangles and pendants, along with the texturing and doming of metal. You will be able to create a piece of finished wearable jewellery, or small set within the 4 weeks. Bring design ideas for discussion and note/sketch book, apron, covered shoes and tied back hair. All equipment supplied, additional cost for materials.